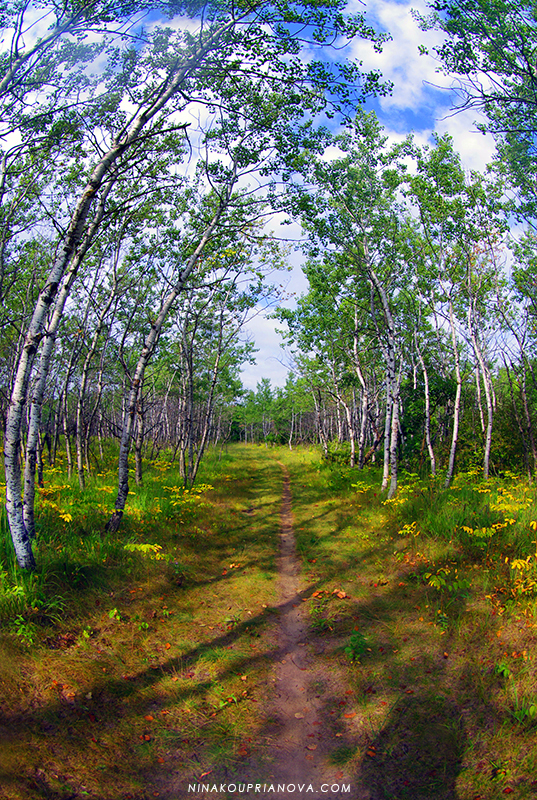 I walked through a prairie aspen grove just before noon. "One, two, three? Don't touch me!" Even the trileaf poison ivy, littering the way, parted to let me through. And the aspen themselves bowed before me, and their leaves did whisper my name. But I can't be sure. It might have been the breeze.